Current Platinum Provider of Invisalign for Teens & Adults. #1 Provider of Invisalign® in Hilton Head and Bluffton. Here at Maginnis Orthodontic's We Teach You To Love Your Smile. Life With Braces Can Be Awesome! Invisalign® clear aligners creates a worry free option for straightening your teeth. Just like anything, needing braces comes with options. No matter your age, it is never too late to get the teeth you have always dreamed of. Did you just find out you need braces? We have our most popular questions answered. On the coast of South Carolina there is beauty everywhere you look and that gives us all a reason to smile. At Maginnis Orthodontics we’re committed to giving you a reason to love your smile – even while you’re in treatment. Because we offer state-of-the-art technologies to create beautiful healthy smiles; from the comfort and precision of the options we provide like Invisalign and 3M Clarity Brackets. The technologies we use are amazing, but we’re pretty sure that it’s how much we love what we do, and the neighbors we do it for, that makes the real difference. 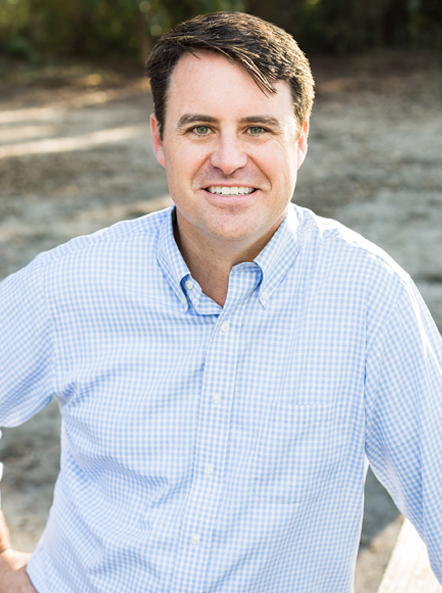 From the moment you meet Dr. Jim Maginnis it’s easy to see that his native South Carolina roots and laid-back style are a perfect fit for the way we live and play in Beaufort County - kind of like the smiles he creates are a perfect fit for Maginnis Orthodontics’ patients. His favorite thing about being an orthodontist is the way it transforms people - not just their smiles, but their whole lives. Patients say that a visit to Dr. Maginnis is like a get together with family and he and his team feel the same way.